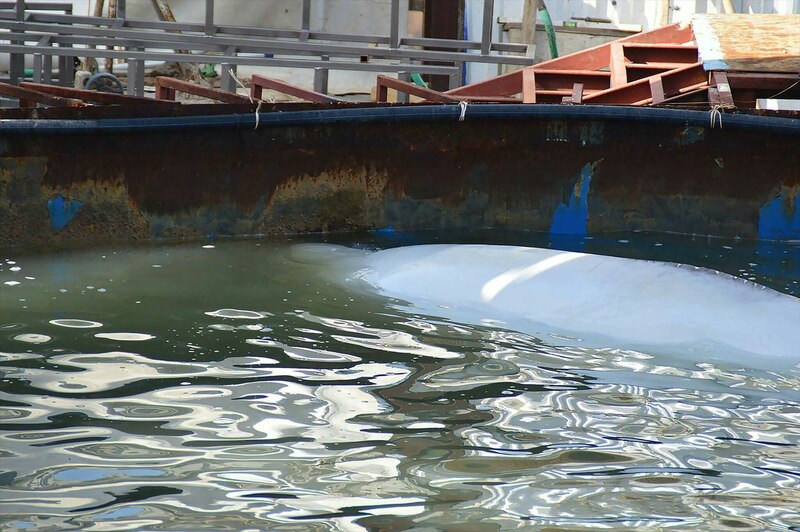 Dolphins confiscated in Anapa — Общественное движение "Спасаем дельфинов"
Last week volunteers and environmental prosecutor showed up with an inspection at “Kitarium”, where they discovered one Beluga whale and two bottlenose dolphins. The prosecutor requested documents for dolphins, but the owners didn’t have them in place. The owners promised to send all necessary documents to prosecutor. Volunteers took pictures of dolphins and tried to establish a contact with bottlenose dolphins, but had no luck. Dolphins kept distance from people and seemed to be wild, which could probably mean they were illegally captured from Black Sea. Beluga whale, on the other hand, swam right towards volunteers and as they explain “was begging for help”. Roxy looked extremely fat. There are no shows in “Kitarium” and no training. That place is keeping dolphins only for display. Second inspection was supposed to take place soon after first one, but for some reason was rescheduled. On April 19th Russian Press visited “Kitarium”, where they were told that one of the dolphins got sick after inspection and died. No documents to prove a death of the dolphin was shown. We have reasons to think that dolphin was moved away. We hope that it is the case and the dolphin is alive, but it’s unclear at this point. Volunteers spent the next night and day at the steps of “Kitarium” being afraid that another dolphin or Roxy will also disappear. The prosecutor showed up unexpectedly with official confiscation order on April 20th. 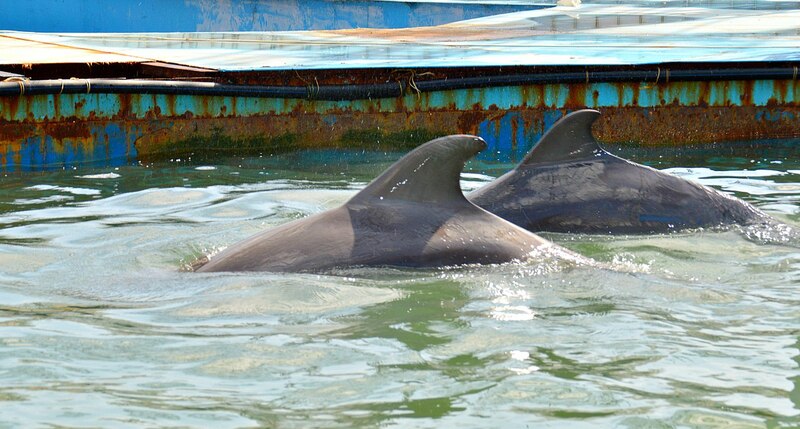 Roxy and bottlenose dolphins officially confiscated from “Kitarium” and placed in the custody of “Kitarium”. If we had rehabilitation center, then we could have taken dolphins. But, unfortunately, we don’t have it yet. We are desperately looking for an appropriate place. We don’t know for sure what violations were revealed by prosecutor. We were told that criminal case on the ground of cruelty to animals was established because of the death of a bottlenose dolphin. We will post more once we get some new information.